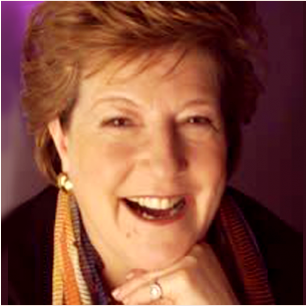 Rosie Phipps is the Founder & Principal of Oxford College of Marketing and Founder of Oxford LearningLab. Rosie trained as a pharmacist before going into market research and marketing with Sterling Winthrop and Beecham products. She managed and lectured Chartered Institute of Marketing courses for many years at the Oxford College of Further Education where her students achieved record passes. Oxford College of Marketing was founded in 1997 and is a CIM top rated college is based on exam success, great tutors, student satisfaction, course structure and course materials. Rosie has the Professional Postgraduate Diploma In Marketing and is a member of the Chartered Institute of Marketing. In addition she has trained at the Tavistock clinic in individual, group and organisational behaviour. She is co-author of the Chartered Institute of Marketing texts Understanding Customers and The Marketing/Customer Interface (Butterworth Heinemann), Start Your Own Business, a BBC book.Coming up Trumps (self employment),Discover Windsor Castle, Discover Bath, Discover Shakespeare and Keep on the Safe Side ( HMSO road safety for cyclists). Rosie has also been a city councillor on Oxford City Council and is also a fellow of the Royal Society of Arts.She paints in her spare time www.rosiephipps.co.uk.